First of all, on behalf of the Group, a warm welcome to our annual meeting! 2018 marks the 40th anniversary of China’s Reform and Opening-up, as well as the 30th Anniversary of Wanda Group. That’s why this year’s annual meeting is of special significance for Wanda. Thirty years ago, with the wave of China’s Reform and Opening-up, we started a small company with dozens of employees. After 30 years of growth, Wanda has now become a large multinational corporation. Each year, colleagues from abroad join the annual meeting, and we also have simultaneous interpretation for our work report – all signs of our internationalization. 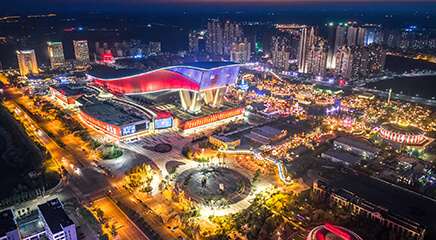 In China, Wanda has created the miracle that “Wanda Plaza is City Center”, a unique business model. Not too long ago, I was in Guangzhou for the signing ceremony of the Wanda UPMC International Hospital in Guangzhou. Wanda colleagues there took me to visit the Luogang Wanda Plaza. I remember back then when we signed the contract for the site development, this place was a village; there were not many residents in the vicinity, and the person who was briefing me was the village chief. There was a lot of debate internally on whether we should invest and build a Wanda Plaza there. Because we saw the development plan was to turn the area into a tech town, and two metro lines were being built, we decided to go ahead with the plan. Now the area has undergone a complete transformation to become a prosperous new city center with bright lights and bustling crowds. 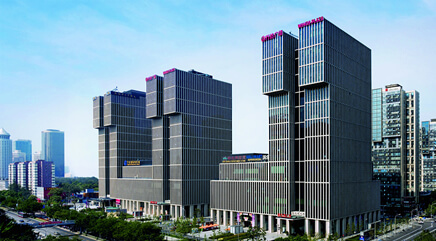 Luogang Wanda Plaza has also become the busiest Wanda Plaza in Guangzhou, as well as a clear example that Wanda Plaza is City Center. Worldwide, we have built the only top notch film and television company in the world spanning four different continents: Asia, Europe, America, and Australia. No other film and television company has ever had the pan-continent operation that Wanda is engaged in. Wanda has created a completely new global model. Wanda’s 30 years of development is a microcosm of China’s Reform and Opening-up. Without the leadership of the Party and the government in reform and opening-up, Wanda would not exist. Which is why Wanda’s deep gratitude towards the Party and the State, and for the policies of Reform and Opening-up, is heartfelt. In 2018, Wanda Group, under the leadership of the board of directors, the management team – with President Ding at the head, along with all our employees, have put in a lot of hard work and effort to reach the goals and objectives that had been set out at the beginning of last year. For the 2018 work review, please note that there will be inevitable omissions – failure to mention any company or division does not mean that they have not performed well, or that the Group does not value their work. For me, each year’s annual work report is both mentally and physically taxing. After the 1st of January every year, Human Resources and Finance departments will hand me materials for the entire Group; and I have to pore through these big, thick books in just a few days before I write my work report overview. 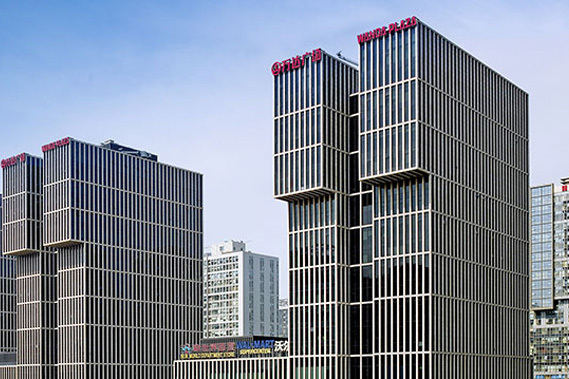 Wanda Commercial Real Estate Management’s revenue is 37.65 billion yuan, achieving 101% of the annual target, an increase of 25.9% YoY. 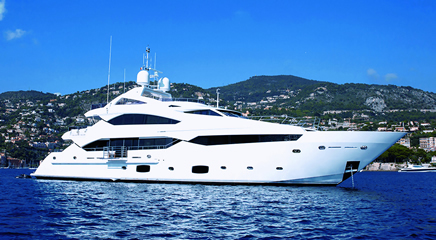 Rental income is 32.88 billion yuan, achieving 100.7% of the annual target, an increase of 28.8% YoY, with growth exceeding 20% for 10 consecutive years. Rent collection is 100%, for the 13th consecutive year, a world record for large enterprises in the industry. 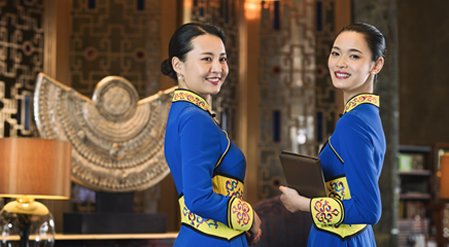 Hotel Management Company revenue is 1.4 billion yuan, achieving 104% of the annual target, an increase of 21% YoY. A total of 49 Wanda Plazas have been opened (excluding assets that have been transferred); newly added property space of 4.52 million square meters, bringing total property portfolio to 35.86 million square meters. Wanda Plazas’ total foot traffic reached 3.8 billion visitors/visits, representing a growth of 19% YoY. It was not easy attaining these results; many offline companies – be it in service or manufacturing, saw their revenue growth rate or absolute numbers decline over the past year. Revenue of the Culture Industry Group is 69.24 billion yuan, achieving 101.3% of the annual target, growth is up 9.2% YoY. Of this, Wanda Film Group’s revenue is 58.06 billion yuan, achieving 103.2% of the target, an increase of 9.2% YoY. Revenue from the Sports Group is 8.83 billion yuan, achieving 94% of the target, an increase of 22.9%. And 95% or more of the Sports Group’s revenue came from overseas market which has been very stable. But because 2018 was the year of the World Cup, revenues were higher – this is an exceptional situation. Kidsplace’s revenue was 2.08 billion yuan, achieving 89% of the target, an increase of 44.3% YoY; Culture Travel Innovation Group’s revenue was 270 million yuan (excluding transferred assets). Revenue for the Real Estate Group was 54.02 billion yuan, achieving 105.8% of the target, a decline of 34.9% YoY; received outstanding payment was 61.04 billion yuan, achieving 102.5% of the target, a decline of 3.3% YoY. The Financial Group's revenue was 43.36 billion yuan, achieving 101% of the target, an increase of 28.6% YoY. Other revenue was10.01 billion yuan, achieving 101.8% of the target. Against the backdrop of increasing economic pressure, Wanda’s four industrial Groups have achieved their yearly objectives; we can imagine the effort and hard work that has been put in. On behalf of the board of directors, I want to express my thanks and appreciation. Thank you, everyone! 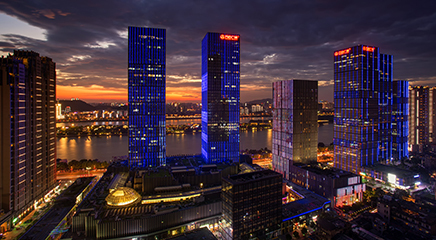 Wanda underwent its first transformation 20 years ago, changing from a purely residential developer into holding and managing commercial complexes. Four years ago the Group again proposed a comprehensive transformation to becoming a modern services company. In 2018, our resolve has shown significant results. In 2018, Wanda’s revenues from providing services reached 160.9 billion yuan, making up 75.1% of the total revenue, while real estate revenue was just 24.9%. You could say that Wanda is no longer a real estate company – it has become a service-focused company with real estate businesses. Within revenue from services, rental income which is expected to see steady growth, is at 32.88 billion yuan, making up 15.3% of total revenue. This is also the part in revenue where the Group wants to see growth the most, as well as the most reliable source of revenue. In a few years, if Wanda’s rental income reaches 100 billion yuan, we would be able to weather any storm that comes our way. A few days ago, when I was chatting with a few entrepreneur friends, I said Wanda’s core business is commercial management; I could afford to lose all the other companies, but not commercial management. Wanda Commercial Management is not a traditional enterprise, commerce these days is all about offline and online integration, and offline is also progressing. From the outside, it might seem like nothing has changed, but the inside keeps changing. We don’t have to talk about twenty years – even compared to five or ten years ago, the businesses renting space in Wanda Plaza were so different. Whoever’s not doing well gets eliminated, and there’s always something new to take its place. Building a commercial project takes lots of time and effort, but once it is completed, it becomes a steady cash cow after two or three years of cultivation. Taking the Wujiaochang Wanda Plaza in Shanghai for example, it opened 12 years ago and cost around 2.1 billion to build, now its rental revenue is 700 million per year, and this figure keeps growing every year. Although Wanda Commercial Management may seem “dumb” compared to some tech companies, but there is steady cash flow. Even though its revenue is not growing at more than 20% a year, but there is still double digit growth. A lot of companies may do well in short term, but once any changes come up, they are finished. Shopping malls, however, will still be standing in 50 or even 100 years. They will be there. That’s why Wanda Commercial Management is Wanda’s core businesses and core revenue generator. Among the Wanda Plazas that opened in 2018, 19 were asset-light. Among the 58 Wanda Plazas newly developed, 50 are asset-light. From 2019, more than half of the Wanda Plazas opening will be asset-light and the proportion will increase in the future. We might see in a few years’ time that all of the Wanda Plazas will be asset-light. All of the newly opened hotels may also be in the asset-light property management category. The two most important indicators of corporate debt are: debt ratio and interest-bearing debt. Debt ratio varies across different industries, and there are different accounting methods, what is considered reasonable also differs. In financial industry for example, a debt ratio of 90% is normal; in real estate, because advance received from customers is considered liabilities, debt ratio also tends to be higher. Interest-bearing debt is the only true indicator, and it shouldn’t be excessive. In 2018, Wanda reduced its interest-bearing debt by around 30% compared to 2017. That should make us one of the big companies that saw the greatest reduction in interest-bearing debt in China. We hear a lot about deleveraging and debt reduction at the moment, but for many companies, even going down by two or three percentage points is painful and that takes immense effort. Wanda’s overseas liability has been basically resolved, at present, there are only a few loans that have not reached maturity. The company’s receivables and cash deposits overseas are bigger than its liabilities – it’s a slap in the face for people who are saying that Wanda will default. Why does Wanda need to move away from real estate? Why do we turn against the business model that has been tested and matured? Why do we put ourselves through more trouble? Because the real estate business has two major flaws: one, real estate business is markedly cyclical, a few years of boom and then a few years of bust; in between, many companies die off. Large enterprises can even things out through the sheer number of projects they develop, but they won’t be completely free from the cyclical impact. Second, in the real estate business, there’s no long-term cash flow. Property is different from fast-moving consumer goods; even compared to durables like automobiles, upgrade and renewal rates are much lower. People who buy multiple properties are mostly doing it as investment. For properties that serve truly as residences, the rate of upgrade is very low– a lot of people live in the same house for life, and pass it on to the next generations. When the urbanization rate of a country reaches around 70%, the property market starts to shrink. It’s possible for some real estate companies to be in business for decades, or even centuries, but once sales start to go down, there will be a drastic cut in the number of real estate companies. Based on these factors, Wanda must make a decisive transformation and develop a business with stable long-term cash flow with technology components. Two years ago, there were still some doubts within the management with regard to the transformation into a modern services company. In 2018, after seeing the government’s policy shifts and changes that took place in the industry, our Wanda colleagues – especially the management– have reached a consensus on the need for change, and everyone is more convinced by the board’s strategic decision-making and foresight. For a large enterprise, transformation sounds easy but is hard to execute. I read an article a couple of days ago, claiming that transformation for real estate companies is a false proposition – but they say that because they failed to do it. Transformation is hard, not just in real estate, but in any other industry; it’s a process that takes time and creates pain. As Wanda’s rental income continues to grow, and the emerging modern services industry continues to expand, Wanda’s business will become healthier and operate more smoothly. It isn’t an overstatement to say that Wanda’s transformation has succeeded, because Wanda’s revenue structure has already changed; the main source of revenue is no longer real estate. But we are still in the midst of a process, which is planned to be completed in 2020. Wanda is already on the right path. We will definitely become a model of the successful transformation for large Chinese property companies and large private companies in general. In 2018, one of the most significant results of Wanda’s transformation is cultural industry becomes the biggest source of revenue. Revenues from the cultural businesses made up 32.3% of the Group’s total revenue. Our culture group is not just the largest in China; it is also one of the biggest globally, and it is extremely well managed. Last year’s revenue reached 58.06 billion yuan, an increase of 9.2% over the previous year. 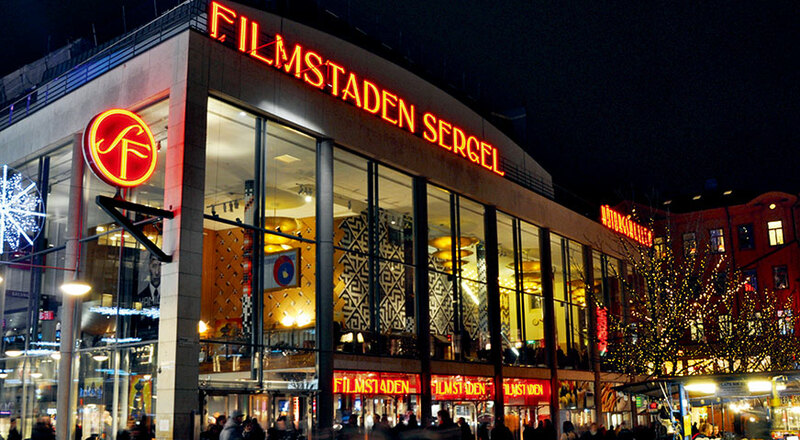 There were 114 newly opened theaters, adding 1,009 screens. Of this, 105 new cinemas opened in China, adding 889 screens. There are now total of 1,641 theaters with 16,576 screens in Wanda’s portfolio. Film and TV content creation has also seen progress: productions include Detective Chinatown 2, The Story of Zheng Yang Gate - which topped domestic TV ratings, Lost in Space a top rated TV series on the internet, and other works that did well both critically and commercially. First there was a spike in revenue. Revenue in 2018 was 8.83 billion yuan, an increase of 22.9% YoY. Overseas markets are very mature and it won’t be possible to maintain such high growth. The World Cup was a very important factor, because football has a heavier weighting in Wanda’s sports portfolio. Second, China continues to bring in top competitions. 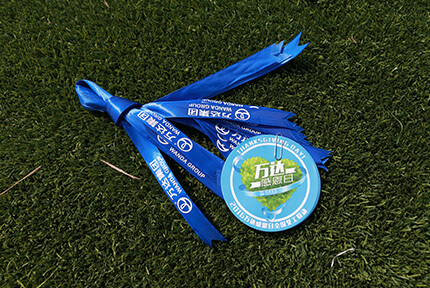 In Chengdu there was the World Marathon Majors’s preliminary competition. There were also Guangzhou 2018 Badminton BWF World Tour, the Chongqing Rock n Roll Marathon and other event in Guangzhou. On top of the original Tour of Guangxi bike race, there were China Cup International Football Championship, Ironman, etc. Wanda has to date brought in seven world-class, China-exclusive international competitions. Third, winning overseas rights, such as the media rights to the UEFA Euro 2020, and media or commercial rights to major international sporting events in winter sports, handball, rugby, and cycling. Fourth, the huge growth in the impact of World Cup. Wanda was one of the six top tier sponsors of the Russian World Cup, and Wanda’s sports companies also won the TV broadcasting rights to the event. According to official figures, the Russian World Cup broke viewership records with a total of 60 billion views. Wanda’s logo in both English and Chinese featured prominently and repeatedly in match broadcasts, thereby greatly increased the brand’s visibility and awareness worldwide. Especially with the appearance of the six flag bearers appointed by Wanda at the opening match. The six were all from Danzhai county in Guizhou, and it generated good international publicity for Guizhou and Danzhai. Revenue grew 44.3% YoY. In 2018, due to early stage production and negotiation issues, no new Octonauts episodes were produced, but in spite of this, there were still over a hundred Chinese TV stations and internet platforms that broadcast the series, and web viewership doubled to reach 24 billion, making it China’s leading children’s IP. Last year, Kidsplace entered controlling stake partnerships within China with four world famous Children’s animation series, which shows the international recognition that Kidsplace now enjoys; the international brands are wiling to entrust their important contents to Kidsplace. Moving forward, there is still tremendous potential for growth in Kidsplace’s IP-related products. In 2018, 69 new Kidsplace Parks, and 50 Kidsplace Early Education Centers were opened. Total annual visitor number was 199 million, up 36% from the previous year. 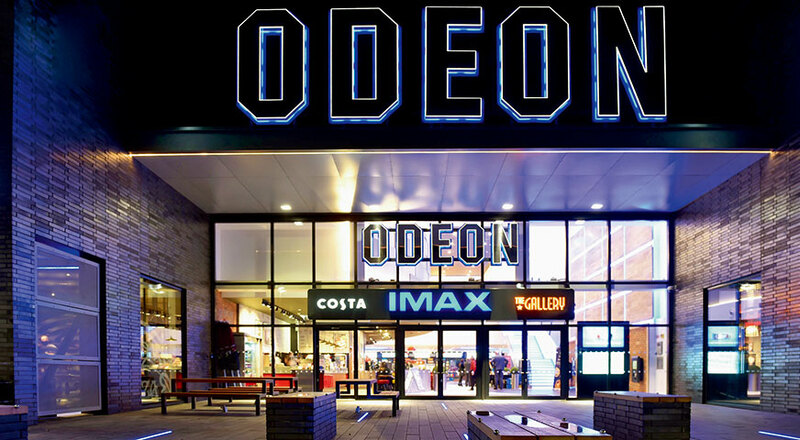 Wanda Cinemas are very popular and have become standard fixtures in commercial complexes. Kidsplace’s network, half the size of the cinema network, has taken only three years to attain the visitor numbers of what Wanda Cinemas has achieved after 13 years. Its popularity is obvious. The new cultural tourism company brought in 270 million yuan in revenue, with the successful opening of the Oriental Movie Metropolis, and organized the Shanghai Cooperation Organization Film Festival. New contracts have been signed for Lanzhou and Yan’an Wanda City projects. After three years of exploration into big healthcare sector, which involved talks and discussions with organizations from the United Kingdom, Asia and other regions, Wanda decided on the current model. Last year, Wanda entered an agreement with the University of Pittsburg Medical Center (UPMC) to build world class general hospitals in five top tier Chinese cities, bringing in its entire healthcare system, including the UPMC brand, management team, technical expertise, medical training, etc. This will be China’s only project where the world’s top hospital system in its entirety is brought in. We were in discussions with the top 10 hospitals in the United States, but they were unwilling to set up a branch in China, in fact most did not even have branches within the U.S. Some other companies have boasted of bringing in renowned international hospitals in the past, but these were in fact technical and management consultation arrangements. To give an example: is branded hotel management the same as merely providing consulting services? On top of this, hotel management and hospital management have vastly different levels of demands in terms of technology, talent and complexity. Universities and hospitals are the two crown jewels of the service sector; they are the two most demanding and difficult sectors in modern services. It is not just a matter of financial investment, but rather it’s more about building experience and a cultural foundation. Renowned universities very rarely set up branches – the same goes for hospitals. So, for Wanda to have achieved the feat of bringing in a top US hospital, it stands as a milestone not just for Wanda but also for the entire healthcare sector and service industry in China. After three years of research and discussions, Wanda has innovated a new big healthcare model with a top hospital at the core, integrating general medical care, rehabilitation, commercial, training and other aspects. This model can be described as big healthcare complex, or integrated big healthcare hub. Once we have two projects that prove the concept successful, Wanda would have a new area of expertise, a new market. Brought in strategic investment from Tencent, Suning, JD.com, and Sunac. A total of 34 billion yuan was invested into Wanda Commercial. 2. Brought in 7 billion yuan in investment for Wanda Cinema from Alibaba and Beijing Cultural Investment Development Group. 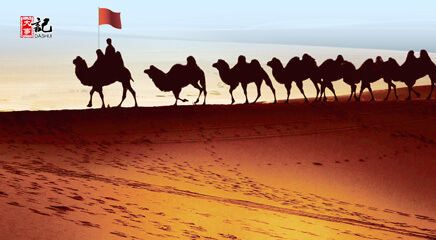 3.The Cultural Tourism Management Company’s ownership was transferred to Sunac for 6 billion yuan. 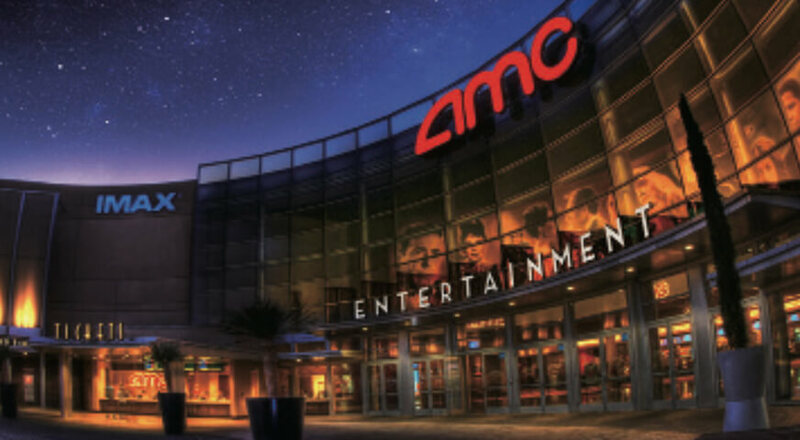 4.AMC brought in new investment worth $500 million. The new investor Silver Lake is a well-known cultural investment fund in the US, and Wanda retained a majority stake. 5. Four overseas real estate projects were sold, bringing in $1.8 billion in cash. In addition there were other capital projects. In 2018, revenue generated from capital operations contracts was at 82.7 billion yuan, and 62.7 billion yuan received in cash. The majority of this revenue was from equity operations, and a small portion was from asset transfers. Revenue from these capital operations supported Wanda’s deleveraging and debt reduction strategy and ensured adequate cash flow for the Group. 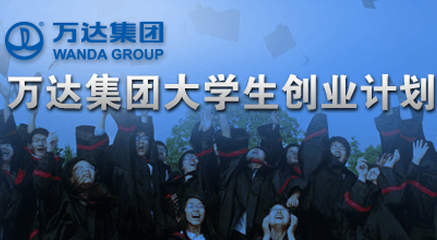 2018 saw Wanda adding 202,000 new service jobs, approximately 1.5% of the total new jobs created in China; of this, 95,000 positions were given to college graduates. As economic pressure in China mounts and employment pressure increases, Wanda’s large scale job creation in the service sector can be considered our biggest contribution to the country. That’s my opinion. As of 2018, the 280 Wanda Plazas around China have created around 1.2 million service jobs – the figure does not include jobs at Wanda hotel management, cultural tourism, sports, film and TV and other business units. Wanda has been a top company in China when it comes to creating new jobs for the past 10 years. For the past 3 consecutive year, Wanda has consistently contributed 1.5% of total new jobs created in China. Last year, the central government stated its focus on stable employment market, stable financial market, stable export, stable foreign direct investment, stable domestic investment and stable expectations– at the top of the list was employment. Someone said, if there were 100 Wanda Groups in China, employment would not be an issue. 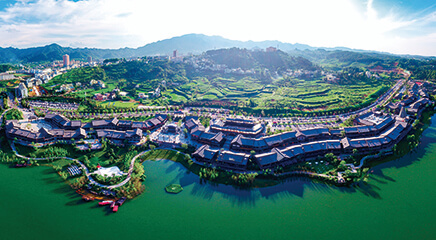 Danzhai Wanda Village saw its visitor number exceed 5 million in 2018. The annual visitor target is 5 million. We don’t expect the number to grow but we don’t want it to drop either. What we are aiming to increase is the number of overnight visitors. In 2018, Danzhai County’s total tourism revenue was 3.7 billion yuan, and 12,810 individuals living with poverty saw their income rise. Last year, Danzhai launched its Poverty Alleviation Tea Garden and income from the tea garden jobs enabled 500 households to leave poverty behind. The rotating mayor program, which is part of Wanda’s Poverty Alleviation Program in Danzhai Guizhou, has also won three international awards, becoming a model for combining creativity with poverty alleviation practices. A lot of creativity can prove impractical, so it was no mean feat combining the two, and the program can be considered a global precedent. Wanda is devising a five-year plan for Danzhai Wanda Village. The objective is not just help Danzhai County out of poverty; we also need to help it prosper and to create a new poverty alleviation model using pro-tourism. Wanda Group has made cash donations worth 321 million yuan in 2018. A total of 105 Green Building accreditations, 35 Green Operation certificates, and 8 Green Hotel accreditations were obtained last year. Since China launched the Green Building Accreditation program more than 10 years ago, Wanda has obtained the highest number of accreditation in China every year. A total of 2,600 volunteer events were organized, with 102,000 participants. Wanda volunteer system is a key part of Wanda’s corporate culture. No other companies value volunteering as much as Wanda – not only do we organize events, we also promote and report on them internally. Why? Everyone goes to work in office buildings, earning good salaries and we want to make sure everyone remembers their original intentions. First, a few companies did not meet the annual targets set for the year, falling short of achieving success in every field to honor Wanda’s 30th anniversary. The four core industry groups met their overall targets, but a few companies within these groups did not； the majority met their profit targets, but missed their revenue targets, and there were a few that met neither their revenue nor their profit targets. Those who met their targets could always find a way to do it, and those who did not could always find excuses. 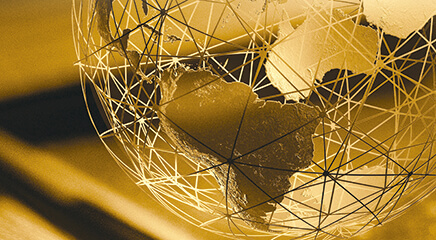 This year, the global economy faces downward pressure; many international organizations and financial institutions have reduced their global growth projections. I predict that achieving our targets will be more difficult in 2019 than in 2018. Now that 2018 is over, I would invite everyone present, particularly those in the front row, to seriously consider ways of making progress toward these targets more quickly, which would allow for more flexibility and leeway later in the year. Second, there were serious accidents. Four people died in the accidents in Nanjing and Changshu. The accident responsibility reports have already been released; although we were not the main party responsible, there are serious lessons to be learned. Third, there were significant loopholes in management. Very few sales representatives at the Real Estate Group were engaged in corrupt practices, enriching themselves at the company’s expense. These behaviors are reprehensible. The people involved have already been turned over to the authorities. I would bet that this was not the only such unit in the Real Estate Group or the only one in Wanda Group; it’s simply that they haven’t been caught. Fourth, some seem unaware of the need to be thrifty. Even though many firms are already under economic pressure, some departments and individuals are still spending money extravagantly. Managers with the job to give approvals do not want to offend people, so they push these tasks to President Ding. This year, the Central Economic Work Conference said government departments should tighten the belt, so why should things be different at Wanda? We must also learn how to tighten the belt. Fifth, selfish departmentalism is a serious problem. People are only thinking of protecting the interests of their own small groups, without thinking about the larger picture. President Ding and I often feel as if companies within Wanda are doing business with Wanda Group. 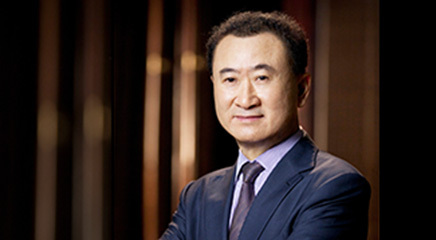 In 2019, Wanda Group’s projected revenue is 232.6 billion yuan. Of that, the Commercial Management Group’s planned revenue is 43.83 billion yuan, including rental income of 38.62 billion yuan. From this year onward, growth in revenue contributed by rental will be slightly lower than previous years, but net rental growth will be about the same. This is because the number of asset-light projects will increase. Once taxes are deducted from revenue by asset-light projects, then the rest is profit. Although Rental revenue from asset-heavy projects all belong to us, various fees must be paid. 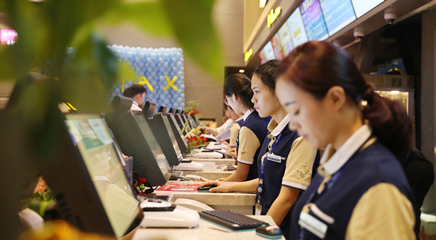 As Wanda Commercial Management develops, it will see an increase in net rental revenue. The Hotel Management Company’s planned revenue is 1.5 billion yuan. And 43 Wanda Plazas will be opened (excluding Wanda Malls), and 29 of these will be asset-light projects. This year, the target of opening 50 Wanda Plazas was not achieved because investors for several of the asset-light projects did not execute the plans as well as Wanda, which is a new issue brought by the asset-light model. In the past, our modularized management model was intended to govern departments within the Group; beginning this year, the planning model will be extended to all asset-light project owners. Beginning next year, more leeway should be given to yearly opening plans, a minimum increase of 10% should be achieved to ensure that no fewer than 50 Wanda Plazas will be opened every year. 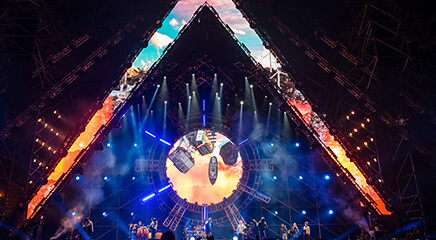 The Cultural Industry Group’s projected revenue is 74.31 billion yuan. Of this, Wanda Film’s planned revenue is 62.37 billion yuan, with 104 new cinemas and 903 new screens. This includes 81 new cinemas and 674 new screens in China. Wanda Sports’s planned revenue is 8.51 billion yuan. Kidsplace’s planned revenue is 3.13 billion yuan, with 132 new Kidsplace Parks and 134 Kidsplace Early Education Clubs. The Culture Travel Innovation Group’s planned revenue is 300 million yuan. 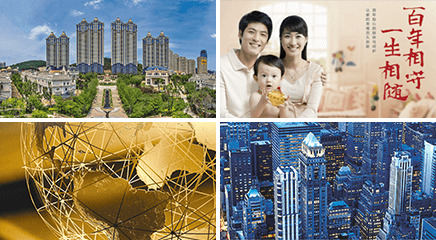 The Real Estate Group’s planned revenue is 52.19 billion yuan. Additional 45.7 billion yuan will be paid for previous projects. The Financial Group’s planned revenue is 49.64 billion yuan. Planned revenue from other Wanda companies is 10.1 billion yuan. Wanda’s goal is to complete our transformation by 2020. As circumstances change, our thinking should adjust accordingly. The Chinese economy is currently undergoing two profound changes. First, internal demand is becoming the driving force for the economy. In the past, foreign trade and investment were drivers for the economy, but now domestic demand is taking over. Second, a shift from product consumption to service consumption is taking place. In ten years, we estimate that service consumption will be the main consumption model. This is in line with principles of economics; the end goal of production is consumption, and the highest level of consumption is for experience and enjoyment. This shift is a shock, but it is also a business opportunity. The most notable characteristic of service consumption is that the value of the experiences on offer is greater than the prices, which corrects current consumption in China that focuses on price rather than quality. Many people now compare prices on apps before they make purchases; they buy whichever is the cheapest. Service consumption represents a higher level of consumption than product consumption, which requires a greater purchasing power. This is beneficial for the creation of brands and encourages an artisan spirit. Why do people want to buy things from Germany or Japan? Why are there thousands of luxury brands in other countries while China has zero? Luxury goods require craftsmanship and several generations of people to perfect them; these are things we currently lack. Wanda must capture service and experience consumption, becoming major player in these areas. Another key focus of Wanda’s transformation strategy is to review our existing businesses and concentrate on our competitive advantages both nationally and internationally, or we focus on areas in which we could very quickly gain a competitive advantage. In the past, Wanda did not have advantages in areas such as big health, but with excellent partners, we have very quickly become competitive. Judging from the process of obtaining land permit, many cities have sought us out and invited us to invest. We must make a gradual and orderly withdrawal from industries in which we have no competitive advantage now and are unlikely to develop a competitive advantage in the future. In a word, Wanda needs to slim down. It needs to let go of certain things in order to gain other things. This is the logic behind Wanda’s asset disposals; the logic applies to deals we’d done, deals we are doing and future deals. Some self-media accounts or so-called experts only see us selling assets, but they don’t see us investing in new projects. That said, if everyone is able to see through Wanda’s business strategy, then people like us would have no value. This strategic adjustment certainly will be uncomfortable, even painful, but Wanda must stick to its plans. No company can perform well in every industry. We won’t know for certain if something will work when we have just entered an industry. We do something because we believe we can succeed. However, we may discover in the process that we don’t enjoy competitive advantage, or we realize the sector won’t grow and we can’t become one of its top players. Excellent companies are able to discover trends and make timely adjustments. A company that doesn’t make mistakes cannot be found in this world. Over the years, Wanda has been an innovator and other firms have been imitating Wanda and poaching our talents. This’s been true in all business units. In one spectacular example, HR executives from a large company rented rooms at the Wanda Vista Hotel next to Wanda headquarters, spending days talking to our managers. Our people were poached left and right. When some younger staff members became able to take on leadership roles and they got poached. This alerted us that, not only do we needed to innovate and cultivate talents, we also need avoid imitators and poachers. Thus, we need to make competition more difficult and enter industries with high barriers to entry; areas that are demanding in terms of technology, creativity, talent, and resources. This is the direction for our future development. In recent years, Wanda has entered the realms of children’s entertainment and education, sports events, and international hospitals, so there have been few imitators. Because these industries require many different capabilities, so imitation is very difficult. If Kidsplace is only a park, then a bunch of people can copy it all over China. We started from IP creation and animation, which others cannot do. Wanda is focusing on an asset-light model. We are not entirely abandoning asset-heavy projects; we will engage in asset-heavy projects while we gradually reduce interest-bearing debt. After this year, at least 70% of all newly-opened Wanda Plazas will be asset-light, and all new hotels should, in principle, be entirely asset-light. Asset-light projects are not as easy as they sound. Without brand and management capabilities, asset-light projects cannot be done. Who doesn’t want to do asset-light projects? Making money from your brand and management capabilities and you have reduced risks. But you first need a brand and management skills. Here, I want to emphasize that, in order to ensure that the Commercial Management Group opens 50 Wanda Plazas annually, the Real Estate Group still needs to build 10 to 15 asset-heavy projects. The Real Estate Group does not have to pursue sales targets, but it must open a certain number of Wanda Plazas every year. That’s the purpose of the Real Estate Group: to serve the Commercial Management Group. First, due to capital market requirements, we must completely split commercial management and real estate businesses. Second, some commercial projects also have residential components; we cannot abandon a project because we don’t work on residential developments. Third, for asset-light projects, the teams need to guide project owners. The Real Estate Group will continue to exist. It also needs to make billions of yuan in sales annually. On top of what we did in 2018, interest-bearing debt should be reduced again by 8-10% in 2019. By the end of 2020, Wanda Group’s interest-bearing debt will be reduced to absolutely safe levels. Compared to Chinese property developers, Chinese private companies, or even all large companies, Wanda Group’s debt level is not high. Why did we want to reduce debt last year and continue to do so this year and next year? It is through developing asset-light projects that we discovered that this is feasible. This reduces the necessity to engage in asset-heavy projects. In this situation, we can gradually reduce interest-bearing debt. The Commercial Management Group has set a goal that starting this year, interest-bearing debt can’t increase, but annual revenue need to increases year on year. How can it be done? the key is to continue increasing the number and proportion of asset-light projects. Since Wanda is fully committed to an asset-light, low-debt developmental strategy, it won’t be shaken. Wanda’s new consumption model is different from that of online retailers. Wanda’s new consumption model essentially combines online and offline experiences. Even though the new consumption touted by online retailers combines online and offline shopping, the goal is still to increase online traffic. Wanda does not sell products itself; it is primarily an offline platform. The goal of our new consumption model is to help offline retailers improve convenience and overall experience. Initially, our efforts were not so successful, but through a partnership with Tencent, we established Bingsheng Tech to explore how to do this better. Once this project is successful, it can be replicated across the country; big shopping centers and department stores, and many other places in China can all use the new formula. 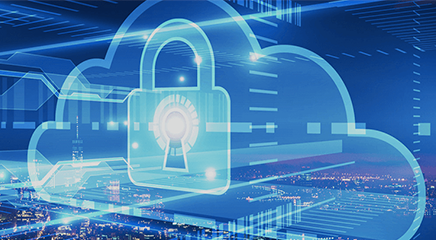 The management software we are researching and developing will become a universal platform that will generate more to big data. As a management software, Huiyun is already world-class. 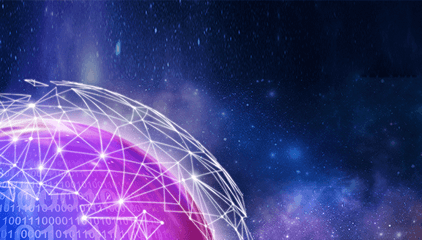 We have spent a lot of money on it and we have distributed it widely, but the Huiyun System’s current shortcoming is that it has not been integrated with big data. If Huiyun can be integrated with big data, its value will increase dramatically. In 2019, the Information Center needs to strive for progress in this area, even if that progress is small. If the Cultural Industry Group, particularly Kidsplace and Wanda Film, want to be successful, it must work to create IP products, whether we do it independently, through M&A or through partnerships. Trying to generate revenue from offline stores has its limitations, we must develop our own IPs. Selling products both online and offline creates more room for growth, profit, and added value. Wanda already has a pretty large scale cultural industry. Maintaining the high-speed growth of the past is difficult. In the future, quality and profits should be the areas of focus. Film and television have potential beyond box office, advertising, and concession sales. There should be several influential productions every year in film or television. It doesn’t matter whether the production was done by Legendary or Wanda Film One or two blockbuster films or television shows should be released every year. There should be film releases for every major season to ensure that our slot for the season is not empty. Overseas events should be promoted, but we should focus on the creation of exclusive international-level annual events in China. Events like this year’s Basketball World Cup, held in eight cities in China, are good, but it is unclear when the event will return to China next time. Our goal is to organize competitions such as the Tour of Guangxi and the Chengdu Marathon. When Wanda Sports holds competitions in 10 categories in China each year, the value of the company will increase significantly. Sports is different from other industries in that being new and novel does not create value; older, more established events like the Tour de France and the Boston Marathon are more valuable. First, new animation products should be released as soon as possible. No new animations were developed in 2018. This year, new animations are being developed, but new content isn’t guaranteed for every week, which is a problem. As new majority shareholders of well-known IPs for children, we need to ensure that we do better than the IPs’ original owners, otherwise we won’t be able to justify our action. Second, after the beta version of Kidsplace app is released this year, the official version should be launched as soon as possible to link online and offline activities. This will add a tech dimension to Kidsplace’s cultural and creative features. The third aspect is to capitalize on IP products. Although authorized retail is stable and does not require special effort, but you don’t make much that way. If Kidsplace needs bigger room for growth, sales of IP products must be done by ourselves and the primary focus should be online sales. I hope that you will bring back retail authorization as soon as possible and create more IP products. It has great value in revenue from this type of growth. We must create a new model for cultural tourism, as there have been problems with the planning, content, and profitability of the existing cultural tourism products. For example, our efforts can be focused on tourism villages. It isn’t easy to travel to Danzhai Wanda Village and resources are insufficient, even a project like this can be done. Therefore, cultural tourism products need innovation and research. They cannot resist to change. Wanda is focusing on industries where it enjoys advantages and is exiting from industries where it doesn’t have competitive advantage. It is not to say Wanda will not develop any new industries in the future. It will enter emerging non-traditional, high-tech industries in which it sees potential. This year, we will strive to launch big health projects in five first-tier cities and at least three projects should start construction. This will be the first such contract in China, and we should do our best to find a way to do it. When the contract is signed, the project can be fully launched, and design and engineering can commence; otherwise, the projects have to wait even though we’ve had the land. Planning and design are key, and we want to build smart hospitals based on the latest research from around the world, representing a higher level of care than that of American hospitals. A top American design company was invited to design the Wanda Chengdu Hospital. I thought that the design was very good, but the new partner hospital said that the design was ten years out of date. I don’t know what the new design will be, but I'm looking forward to their next version. Because the core Chinese team will receive at least three months of training in the United States, the budget should be allocated as soon as possible and this matter should be done in the near future. 1. Wanda Sports and Legendary Entertainment are going to carry out capital operations and there should be results this year. 2. The Commercial Management Group is splitting with real estate business. According to the investment agreement, the Commercial Management Group will be separated from all real estate businesses in 2019. It will not develop even one square meter of real estate, so that it can become solely a business management and operation enterprise. As stipulated in the agreement, this process must be completed this year. Once it is done, I believe that the market will see a high quality enterprise that is exceptional in China. Why do I say this? First, Wanda has many high-quality properties, and it will be impossible to replicate Wanda. Second, Wanda has steady cash flow that has steady long term growth. Third, the economic cycle will have little impact. Wanda's business does not involve high-end luxury goods; it is primarily targeting mainstream mass consumption, with some links to fashion trends. This type of consumption is not really affected by the economic cycle. Fourth, Wanda’s debt ratio is in line with international standards. Some people say that Wanda is eager to go public, but they do not understand Wanda at all. The agreements we signed with our strategic investors say that we would go public within five years. But there is no repurchase guarantee even if we do not go public. My stance still remains unchanged: gold will eventually have its moment to shine. 3. Wanda Plaza Asset Securitization. Wanda Plazas have good cash flow, and the assets have room to appreciate. Good assets like these, as I understand, is a scarce resource in the market. I hope that our Capital Center will work hard to start the process of securitizing these assets this year. This is the prerequisite for all of our work. First, we must improve safety standards. Second, we must pay close attention to project quality and re-implement the on-site project quality meetings system. Third, we must offer large rewards and heavy penalties, especially for the leadership. China only has one Wanda, so the pressure on management is high. Wanda has many properties, and foot traffic is huge. Annual visits is already several billion a year and may grow to over 10 billion in the next several years. There is also immense pressure on safety and personnel management. We can't rely solely on people, so we must rely on technology. The Information Center developed three “magic bullet” management tools, Huiyun, Zhuyun, and the work planning module, which have allowed us to stay on top of management tasks. In the future, as we grow to 500 or 1,000 Wanda Plazas, the technology must improve as well. Can we develop the 4th and 5th magic bullet? A chain is only as strong as its weakest link. This year, management will focus on identifying companies that are lagging, and companies that are not meeting their targets, especially companies that belong to large chains like Real Estate, Cinema, and Kidsplace. Management should focus on companies that fail to meet their targets. I hope that, at the 2019 annual meeting, a lower proportion of companies will have failed to meet their targets. Wanda has over one thousand companies of various sizes, and none could guarantee that they would meet 100% of their targets. But it’s possible that a smaller proportion do not meet their targets and a bigger proportion meet or exceed their targets. High salaries do not guarantee honesty and integrity; only persistent anti-corruption efforts can prevent corruption. The Audit Center is focused on prevention. It should hold more meetings, more learning sessions, and more visits. The 2018 Wanda Work Report is released to the public as usual. This year Wanda turns 30 and has completed one full cycle. After this year, the work report will not be released to the public for several reasons. First, we are not a publicly traded company, and we do not have an obligation to publish. Second, enterprises with similar size do not release their internal work reports to the public. Third, the report creates a lot of pressure, as lots of things cannot be discussed because some individuals do not care about what you say; they just write what they want to write to attract eyeballs. This year is Wanda’s 30th anniversary. As a gift, we have released “Song of Wanda” I wrote the lyrics. We received thousands of submissions for lyrics, and many were very well done, but they didn’t reflect Wanda’s spirit. They could have been used interchangeably for other companies, like Vanke or Huawei, as they didn’t talk about Wanda’s unique characteristics. Others were too specific. In short, I was not satisfied, so I took the time to write some lyrics. The lyrics reflect Wanda. “Innovation, trustworthiness, execution, and charity” are the unique characteristics of Wanda. I think that the lyrics I wrote were good, but I cannot write music, so I found someone to write the music. The song debuted at this year’s annual meeting, and if everyone enjoyed it, “Song of Wanda” can be sung at all future annual meetings. China has over 30 million enterprises, and few companies’ official songs can last long. I hope our song will be sung for years to come! Spring Festival is almost here. On behalf of the Group, I would like to wish everyone a happy and healthy Chinese New Year! Thank you to all the staff at the hotels that host and support this meeting for their hard work.